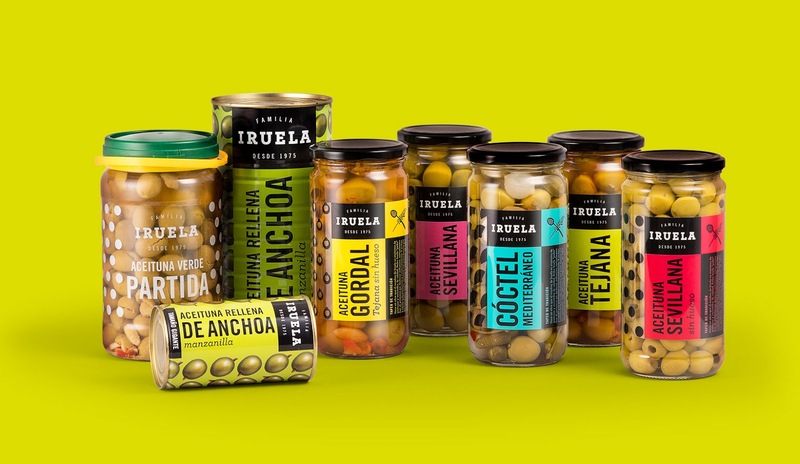 Family — In the mid-1970s, Pedro Iruela sowed the seeds of a company that manufactures olives which has grown and become a deep-rooted brand in two areas: exquisite taste and popular prices. 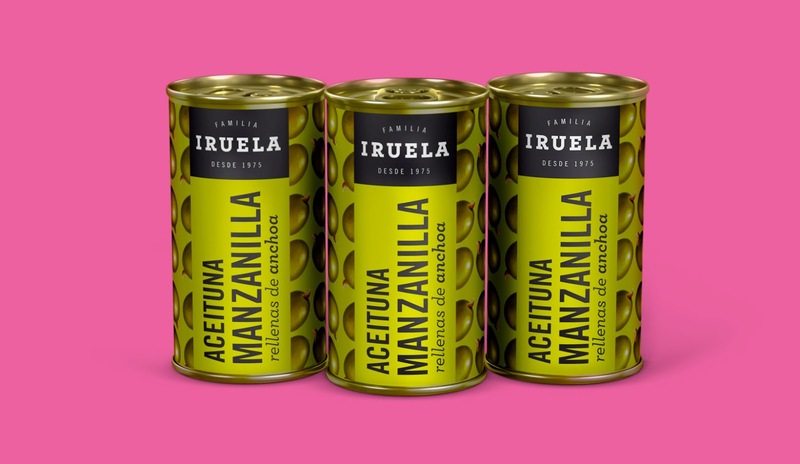 Both the packaging and the logo they had worked with for years were simple, crude and cheap solutions… A new image was called for, one as exquisite as its products, but underpinned by the same popular spirit. 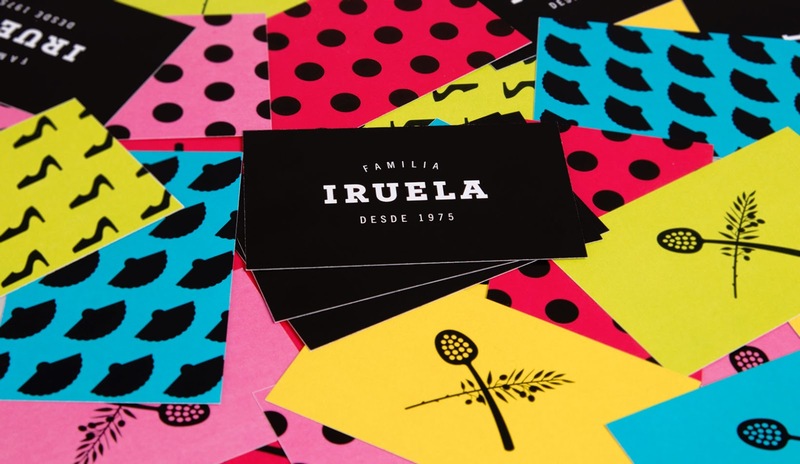 Logo — The first step in the process was to redesign the logotype in order to place it within the visual universe of the premium category (sobriety, monochrome, elegant typeface…) and provide it with a clean and elemental tag line (“Iruela Family – Since 1975”). In visual terms, we channelled the brand towards a certain sophistication; narratively, towards values of tradition, experience and closeness. Or in other words, we did not want to move too far away from Iruela’s two main areas. An exquisite logotype: a popular tag line. 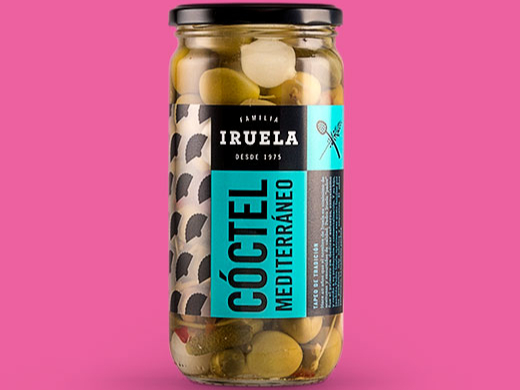 We complemented the logotype with a symbol logo of an olive branch and an olive ladle crossed in an epic and distinguished fashion, but also with a cheeky sense of humour: a noble composition with good-natured objects. 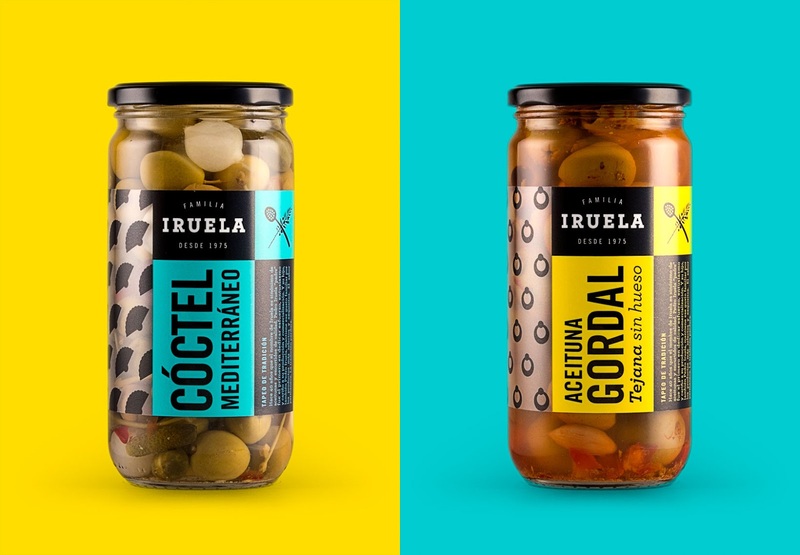 Label — We managed to get the packaging to maintain this brand duality thanks to visual patterns with folkloric overtones, albeit in a modern style. We used the aesthetic of polka dot dresses and inserted them into a digital pictogram aesthetic in order to create modern motifs. The traditional aesthetic of Andalusia, albeit with a contemporary approach. Thus, the polka dot became an earring, a high-heel shoe or a fan. 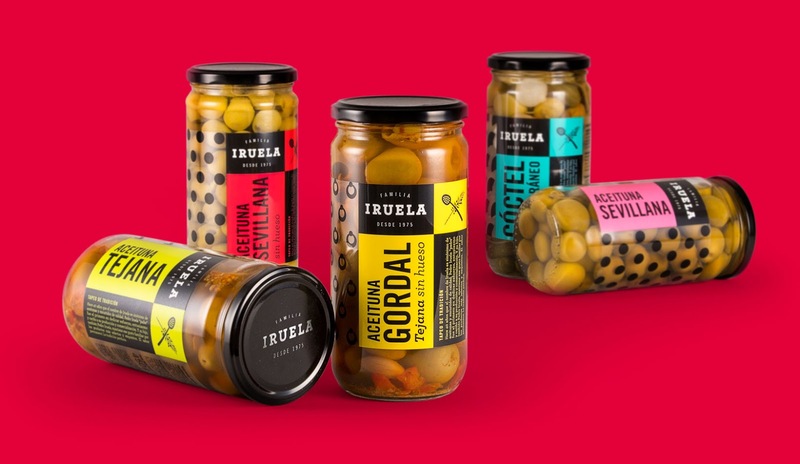 We drew a different icon for the different varieties of olive (keeping the polka dots for the Sevillian olive, naturally). We placed the different graphic elements in order into independent areas to facilitate hierarchy and visibility: the logo and an intimate storytelling about the history of the brand occupy a sober space; the symbol logo and the descriptor stand out over an attention-grabbing coloured background. 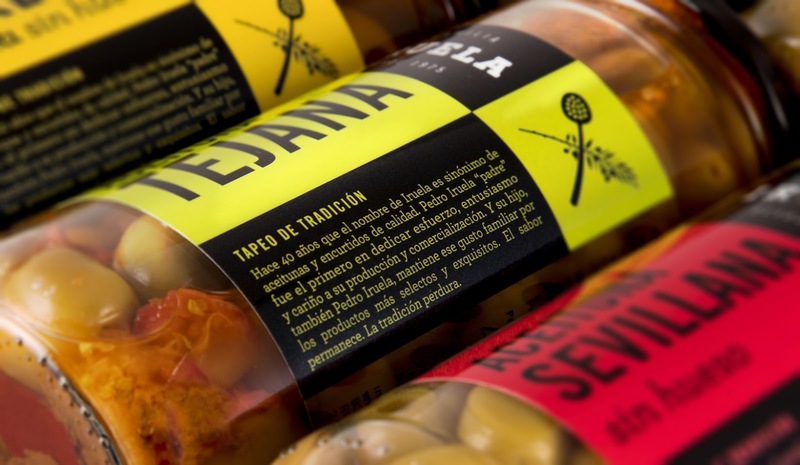 And the pattern elegantly surrounds the rest of the tin, without concealing the product from us.